If you’re looking for luxury in a vehicle, the last place you’d typically look is in a truck. After all, trucks have been the grunts of the automotive world since their inception. They’re made to be abused and rigid, not to be comfortable and coddled. That doesn’t mean you can’t have the best of both worlds; luxury trucks do exist. The question is, which ones are going to be the best at work and play? Which manufacturers can provide that unique combination? After researching testing from Consumer Reports, Edmunds, and Truck Trend, we’ve come up with the list of the best luxury trucks for the 2010-2011 model years. The Harley-Davidson edition of the F-150 SuperCrew is the absolute premium in pickup style. It can comfortably seat up to four people and six can fit if you don’t mind things being a little tight. The navigation system features an eight-inch screen with impressive clarity. It also has features typically reserved for only the most luxurious sedans, such as power-folding mirrors, heated/ventilated front seats, a rearview camera, a cargo management system, heated second-row seats, a premium Sony audio system, and a rear-seat entertainment system. 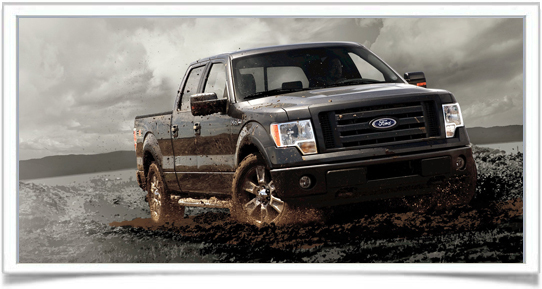 All of that comes with a brand new lineup of more powerful engines for the 2011 model year. “The 2010 Cadillac Escalade EXT’s distinctive style, versatility, and gobs of V8 power put it in a class of one.” (www.edmunds.com) There’s no question that the Escalade is unique in its design and style. Its versatility allows it to be a combination of both SUV and pickup. It’s the first multiple personality vehicle, and it stands out because of it. It’s 6.2L V8 is powerful enough to make it competitive with workhorse pickups, but its plush Cadillac interior makes owners forget they’re driving a truck. 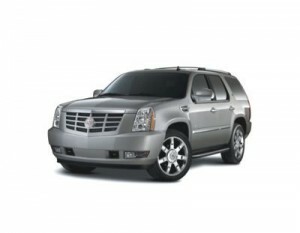 Handling and ride are both well-mannered, but its size makes the Escalade EXT difficult to maneuver in tight spots. Take the Harley-Davidson edition of the F-150, bring it down one notch, and you’ve got the F-150 Platinum. That would be one very small notch. It still features amenities like its own specialized wheels and a roomy, high-tech interior. Bluetooth is standard, but the navigation system, mp3 player, and rear-seat DVD player are all optional. In addition to the more powerful engine lineup, the Platinum series also features stability and traction control to go with its rugged four-wheel drive system. The rest of the list of options reads like a premium luxury sedan, but it’s all available in a powerful, purpose-driven truck. No other truck is going to compare to the top three on this list, but the top-of-the-line Tundra is about as close as you’ll find to them. Bluetooth, satellite radio, and a handy navigation system are all available options. The Platinum package, which is only available on Limited CrewMax models, loads the Tundra down with every available option and basically turns it into a Lexus pickup. It also offers the roomiest back seat of any pickup available. Towing capacity is 10,800 pounds which also makes it quite the working vehicle as well.